Hi, welcome to Bemused Backpacker and thank you for stopping by! Stick around and hopefully I can give you some hints, tips and advice on how to make your gap year dreams a reality. Follow me and I’ll walk you through the logistics and pitfalls of following your dreams of world travel as well as regaling you with a few tales from my own round the world adventures. I hope you all enjoy my work as much as I enjoyed creating it! My name is Michael Huxley, and in case you haven’t guessed it already, I am the Bemused Backpacker. I am a qualified charge nurse by vocation with specialisms in emergency nursing and travel medicine, but my real passion is travel! Backpacking is not just a fun way to travel and see the world for me, it defines who I am. It has helped to shape my innate character, let me develop skills and experiences beyond the norm and given me some amazing memories too. I have been travelling the world for over fifteen years, and I want to pass all of that advice and information on to you so that you can follow your own travel dreams. Ever since an epic trip to south east Asia almost fifteen years ago that absolutely changed my life, I have been bouncing round the world trying to see as much of it as I can. I have taken a ton of full gap years, countless snap years and have even travelled long term, living in different countries for long periods of time, and since then I have had many amazing adventures travelling through well over a hundred countries, all of which have simply added more fuel to the fire and made me want to travel even more! During my travels I have seen and done things I never could have dreamed of before I started backpacking. I have explored the last remaining ancient wonder of the world and visited several newer ones, I have climbed mountains and trekked the length of numerous jungles and deserts, hiked the Sahara, learned to scuba dive, sailed around the south China sea and even peered into the edge of an active volcanic crater! I have furthered my lifelong passion for martial arts by studying numerous disciplines in their spiritual homes, learned to horse ride, bathed with elephants in the river Kwai and discovered a passion for wildlife conservation, volunteered in orang-utan conservation camps and worked with a few smaller animal sanctuaries and NGO’s such as BAWA. I have even found a way to combine my former career as a nurse with my passion for travel and have volunteered as an expedition medic in treks through the jungles of Borneo and Malaysia and into the Sahara and the great Thar deserts among others, and these are just a few small examples of my round the world exploits! But things don’t always go to plan. No traveller ever gets it right all of the time and if there are travel mistakes to be made I’ve probably made them at some point! Among all of these awesome adventures I have caught dengue fever, nearly drowned in Thailand, nearly caused a riot on a train platform in Delhi, been caught up in part of the Arab spring and had a cat save my life in Cairo! A monkey even nicked my damn sunglasses once! These are just a few of the many scrapes I have managed to get through over the years, but none of them have put me off travel. In fact some of them have become some of my best travel stories! In case you haven’t guessed yet, I absolutely love travel and feel privileged not only to have forged a life for myself where I can travel whenever I want to but also to combine this with another one of my passions, writing, into a full time business too. 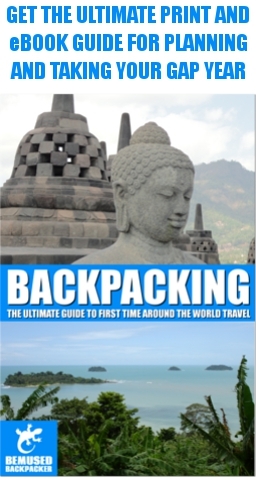 I created Bemused Backpacker to be an indispensable resource on how to backpack and travel the world independently. It is here to provide education, information and inspiration for backpackers, gap year travellers and independent world travellers alike. Apart from maintaining this site as a full time business, I am also a published author and novelist and have written my own series of travel books under the Bemused Backpacker brand. I have written articles for a number of magazines and websites and I have been featured or mentioned in some of the worlds largest media, including the BBC Travel Show on BBC1, the BBC World Service, the British broadsheet The Guardian, Indonesia’s Metro TV News, Canada’s Globe and Mail and many more, as well as speaking at a variety of events on what I do and how I do it. 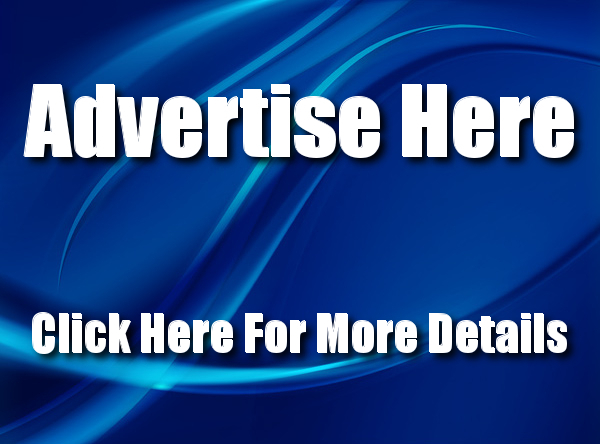 If you are a brand, DMO or other travel industry provider who wants to work with me, please find more information here. As a qualified nurse with a background in emergency nursing and travel medicine I also run my own online travel clinic where I give backpackers travel health advice and information before they set of on their gap years, or occasionally emergency advice when they fall ill or get injured abroad. I’m proof positive that you can have a great professional career and travel whenever you want at the same time! This website is here for you. You are the reason I do this. I absolutely love backpacking and travelling the world, and I hope to share some of that passion with you. After all it is you, the reader, who makes Bemused Backpacker what it is. It is you who I want to inspire to follow your dreams of round the world travel. It is you who I want to impart all the knowledge and experience I have gained over the years to and help you prepare for your very own round the world adventure. So I really hope you all enjoy the site and more importantly find the books useful! If you want to keep up to date with what is happening, new releases, competitions and special offers, then please feel free to sign up for email alerts in the box in the sidebar or follow me on Facebook or on Twitter, and I hope to see you all out there somewhere!